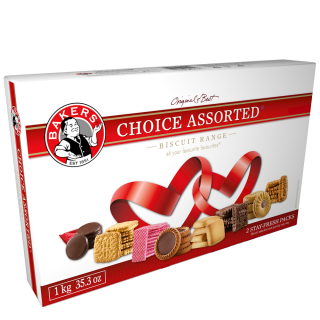 All your favourite Bakers sweet biscuits in a 1kg Choice Assorted selection. The number 1 biscuit brand – original and best. 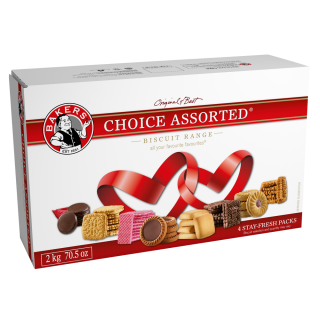 All your favourite Bakers sweet biscuits in a 2kg Choice Assorted selection. The number 1 biscuit brand – original and best. 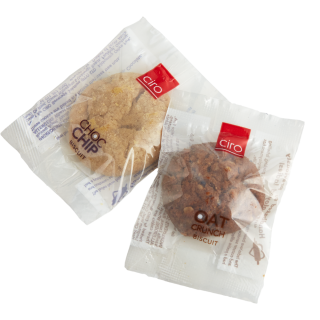 A case of chocolate chip and oatmeal cookies, individually-wrapped that makes it ideal for cost and portion control, hygiene and guaranteed freshness.